In Maryland, almost every employer in the state with one or more employees is required by law to provide workers’ compensation coverage for their employees. This means employees who are injured or become ill as a result of their work have the right to file a workers’ compensation claim and potentially receive monetary benefits. Although workers’ compensation is supposed to be a simple and accessible system, the reality for injured workers is often very different. The complex process for filing a workers’ compensation claim can seem overwhelming to workers who don’t retain the help of an experienced workers’ compensation attorney. To help, we’ve put together a basic guide to your workers’ compensation rights in Maryland and the legal factors that can affect whether you have a claim. Workers’ compensation is essentially a form of insurance that provides wage replacement income and medical benefits for employees who suffer injuries or become ill as a result of their employment. In exchange for receiving workers’ compensation benefits, the injured employee gives up the right to sue his or her employer (with a few certain exceptions) for any negligence related to the injury in question. The advent of U.S. workers’ compensation laws in the 1900s was one of the major accomplishments of the early organized labor movement, and now every state has some form of statutory protection for injured employees. Before workers’ compensation laws came about, employees who wanted compensation for on-the-job injuries had to file a lawsuit against their employer, which was a time-consuming, expensive, and uncertain process that left the worker without benefits for the duration of their case. Few employees could afford to pursue this option, which meant that injured workers had little protection — and negligent employers had little incentive to reform. Today, workers’ compensation claims in Maryland are handled by the Maryland Workers’ Compensation Commission (WCC). This agency oversees all workers’ compensation claims filed in the state and evaluates each case to determine whether or not the employee will receive benefits. All employers are required to have workers’ compensation insurance, and in many cases it is the insurer who will be contesting every part of your claim. In addition to compensation for lost wages and medical benefits, Maryland workers’ compensation law also provides opportunities (in some cases) for assistance re-entering the workforce through re-training (also called “vocational rehabilitation”). Like all workers’ compensation benefits, the employer who is the subject of the claim pays for this re-training. Note that the above injuries and illnesses do not comprise an exhaustive list of the conditions covered by workers’ compensation. However, they should give you an idea of some of the more common conditions that result in workers’ compensation claims. If you’d like to get an idea of what the typical process of a workers’ compensation claim looks like, the Maryland WCC provides a visual flow chart of that process here. 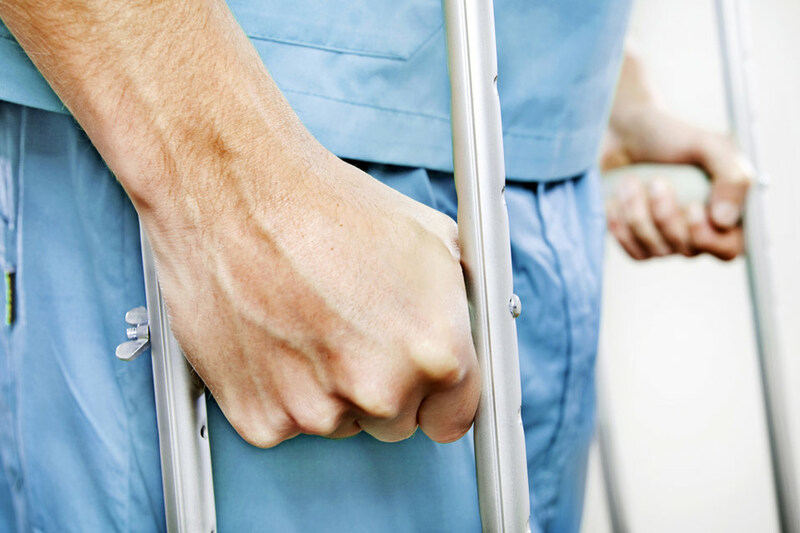 You must have suffered an accidental personal injury or illness on the job. While these criteria may seem straightforward, the second requirement — that the injury or illness must have been accidental and of an “on-the-job” nature — is where things can get tricky. The Maryland WCC defines an on-the-job injury as one that arises “out of and in the course of employment.” Since Maryland has no standard of negligence for workers’ compensation claims — that is, it doesn’t matter if you or your employer was at fault for your accidental injury — the employer and their insurance company may instead try to argue that your injury or illness did not come “as a result of and in the course of” your work duties. In some cases, it may seem straightforward whether your injury came from an on-the-job accident. For example, if you were lifting a box as part of your daily work duties and hurt your back in doing so, it will be difficult for your employer to argue that this injury didn’t happen as a result of and in the course of your work duties. In many other cases, though, it’s not nearly as clear whether an injury falls under the WCC’s definition of an on-the-job injury. For example, what if you were injured while commuting to work in a company-owned vehicle or while entering or leaving your place of employment? What if you got hurt at a company picnic or other work-related social function? In cases like these, where the injury has some connection to your work but doesn’t arise directly from job duties, it’s difficult for a layperson to determine whether a valid workers’ compensation claim exists and to argue their case before the Workers’ Compensation Commission. Even workers’ compensation claims that seem straightforward often prove more complex than they seem, and your employer and insurance company will likely have attorneys on their side defending their interests. They will also try to send you to a doctor of their choice to write a report that says your injuries are not related to your on-the-job accident, or that you don’t need further treatment. This is why you should always call the workers’ compensation attorneys at Pinder Plotkin as soon as possible if you’re injured on the job in Maryland. In addition, if your injury was caused by the negligence of a third party who is not the employer, you may be able to file a third-party claim against the negligent person or entity, which is a different claim that will proceed separately from your workers’ compensation claim. The attorneys at Pinder Plotkin can help you assess whether there may be a valid third-party claim in your case. If the insurance company follows all the necessary steps, the statute of limitations for workers’ compensation claims in Maryland is two years. However, in many cases, the statute of limitations is longer than 2 years because the insurance company did not take all the proper steps. It’s also important to note that workers’ compensation claims can only be filed on official forms supplied by the WCC. To learn more about which immediate steps you should take if you’re injured at work, you can read our previous blog post on this topic here. If you or a loved one has been injured while on the job, please get in touch with the legal team at Pinder Plotkin. Our firm has tried hundreds of cases before the Workers’ Compensation Commission, and other firms frequently refer cases to us because they trust our knowledge and experience in fighting for our clients’ rights. Furthermore, our fee policy ensures that you only pay fees and expenses if and when we achieve a recovery on your behalf. To schedule a free initial consultation regarding your case, please call our Parkville offices at (410) 661-9440 or our Bel Air location at (410) 893-9111, or fill out our convenient online contact form today.